From left to right: Sparkling Dew, Guava, African Violet, Plum Smoke, Kir Royal, Violet Ink, Vanilla Nuts, Primrose, Fresco, Bamboo, Truffle, Espresso Bean. Right, let's just take a moment for the Laura Mercier Artist Eye Palette - isn't it gorgeous? I picked this up when I was in Space.NK during my recent trip to London, as you may have seen in my London beauty haul post. As soon as I saw it, I practically ran over and started swatching the colours, it's just such a pretty palette! 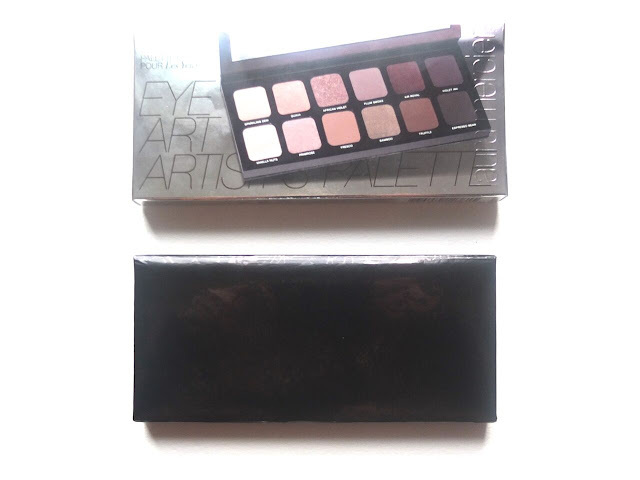 From my research and understanding, this palette was originally part of the Laura Mercier 2013 Holiday Collection and was re-released earlier this year. Thank goodness for that! The palette features twelve different eyeshadows, which vary in finish and seem to be a good mix of warm and cool toned shades. It's a lovely mix of plummy shades with some brown and peachy tones thrown in too. 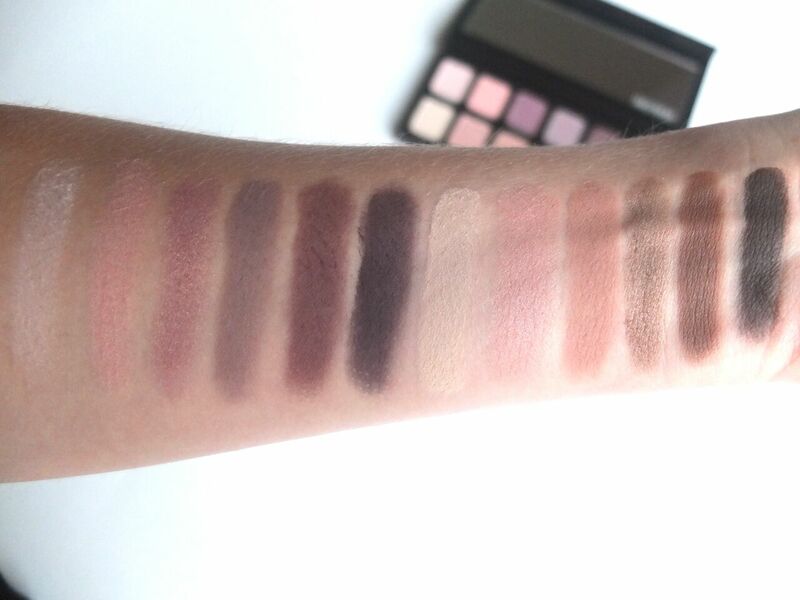 It also has a lot more matte shades than most palettes I own, which I'm definitely okay with! I've had a good play around with this palette over the last few weeks, and the looks you can create with these shades are seemingly endless. 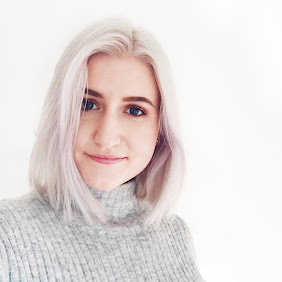 Whilst I definitely picked this up with more of an autumnal makeup look in mind, I think that with the peaches and pinks featured in the palette, you can certainly get some more summery and neutral eye looks out of it! I've actually never tried any Laura Mercier eyeshadows before, but I had heard good things in the past, and I figured if my in-store swatching was any indication of the wear time and overall quality of the shadows, I would be just fine! Well, it turns out the blogosphere, as well as my instincts, were right, these are really great eyeshadows. The pigmentation and overall colour payoff is fantastic, even with the lighter shades, which I've found to be problematic with other brands in the past. On top of that, the shadows are all finely-milled and super blendable - can you tell I'm impressed? I've put this palette to the test a fair few times now and two particular instances have stuck in my mind. I used Fresco and Truffle to create a neutral eye for my birthday makeup last month, and I remember looking in the mirror at the end of a very long birthday dinner, hours and hours after applying it and thinking that the colour still looked almost exactly the same as when I had first applied it. I also used it on a night out last week - and a very long night out at that - using Plum Smoke all over the lid, Kir Royal in the crease and Violet Ink in the outer corner to smoke it out. The result was lovely, a slightly smokey, plummy evening-appropriate eye (I'm using all of the adjectives). Once again, this lasted beautifully throughout the night (and the wee hours of the morning) with barely any fading - a true test of wear-time. I'd say that if you use a primer with these they last around eight hours before fading really becomes apparent. Out of the whole palette, the only shade I can't see myself getting a lot of use out of is Espresso Bean because I find that being blonde, very dark eyeshadows tend to wash me out. But eleven out of twelve isn't half bad! I never thought I'd be someone who goes for purple eyeshadow, but this palette has somehow made a plummy eye more attainable and wearable for me and that in itself is an achievement! Overall I'm really impressed with this palette and I highly, highly recommend it. As far as I can tell, it's been out of stock on the Space.NK website for a while, but I'd have a look in store to see if you can track it down there, that's where I found it. And let's be honest - any excuse for a trip to Space.NK! 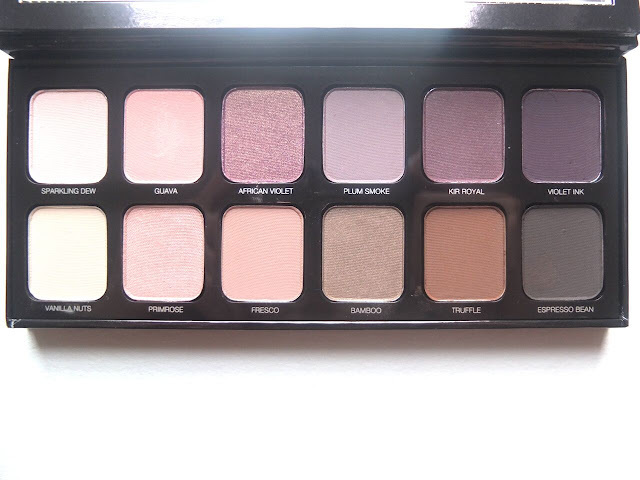 I need this palette, it's absolutely beautiful! That palette is so beautiful and eye shadows are so pigmented.